In today’s scenario people often consider to be the part of a nuclear family. Two to four persons are enough to enjoy with. You will be surprise after knowing that Ziona Chana is the man who is hallowed with the world’s Biggest family around the worldwide. 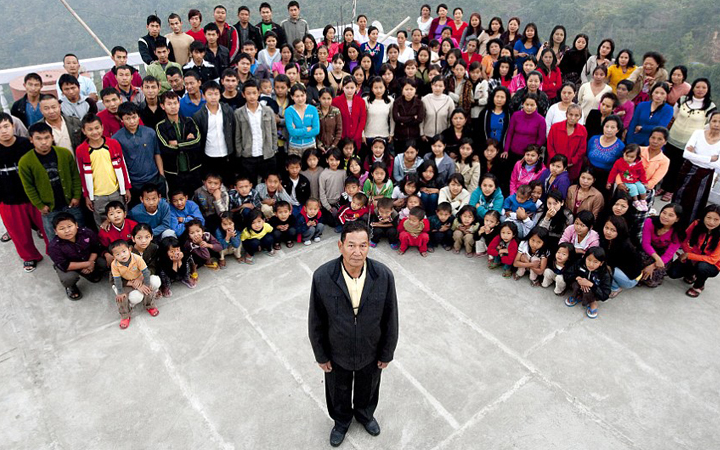 He is blessed with 39 loving wife’s, 94 children 14 daughter in-law and 33 grandchildren who live together under the identical roof.